Brides looking for an elegant and feminine gown, Marita is a must have. 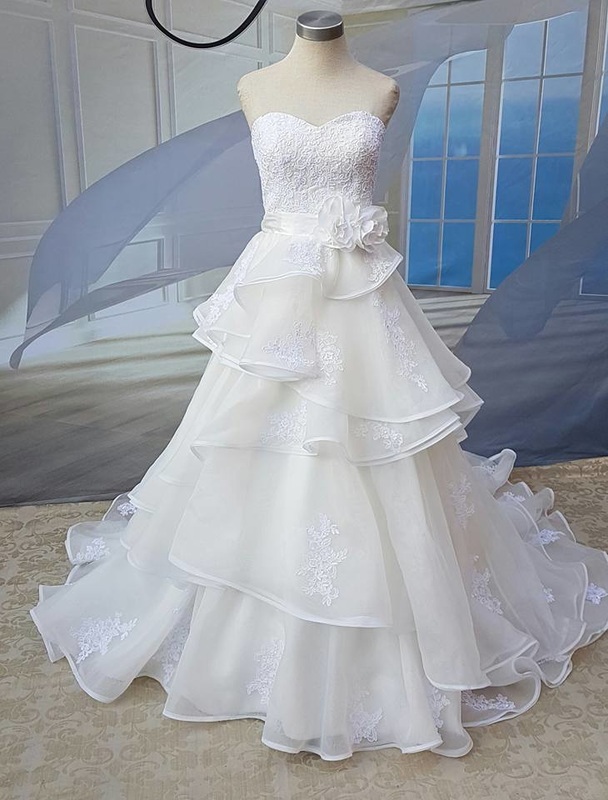 This gorgeous ball gown is made of satin with soft layers of french lace. This show stopper has beading, and a stunning sash with a hand made flower that accentuates your waist.